Explore Iceland, and other GoT filming locations, with AESU! The seventh season of Game of Thrones harbored a variety of intriguing reveals for fans throughout the world. Although widely speculated, it was finally disclosed that Jon Snow is a Targaryen. The Wall of Westeros came tumbling down, the White Walkers have an incredible dragon monster, Arya put an end to Littlefinger, and a scorned Jaime Lannister traveled north. The final season isn’t scheduled to air until 2019, so diehard fans have to find other ways to quench their GOT fantasies — like traveling to filming locations across the globe! Tourism in Spain, Iceland, and Croatia is booming as a result of the hit HBO series. Explore the Seven Kingdoms with AESU! The Royal Alcazar is regarded as one of the most beautiful sites in Spain and was registered as a World Heritage Site in 1987. The location first appears in season two of Game of Thrones as the Water Gardens of Dorne and continues to pop up throughout the show. The exterior of the palace is truly astonishing, dating back to the mid-1300s, as it’s a perfect mixture of Christian and Moorish architecture. The diverse Icelandic landscapes provide the scenery for numerous Game of Thrones episodes. The north of the Wall, the Frostfangs, and the Fist of the First Men all feature Icelandic locations. 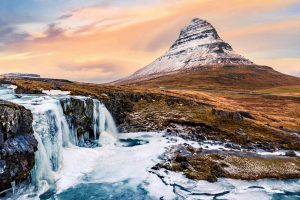 Explore the stunning coastlines, volcanic deserts, and majestic waterfalls that pepper Reykjavik and surrounding environs. Fans of the show delight in picturesque views of King’s Landing, but everyone can enjoy this extraordinarily beautiful city. As the capital and largest city of the Seven Kingdoms, Dubrovnik provides explorers with much to do and see. Walk the Stairs to the Great Sept of Baelor, photograph the Purple Wedding, and hunt for dragons in the House of the Undying! Experience an exhilarating adventure on the Cosmopolitan, Explorer, and Continental tours. It’s never too late to get a taste of a multitude of exciting cultures! Explore several Game of Thrones filming locations on the Captivating Croatia tour, Discover Spain tour, and the Iceland Expedition! This entry was posted on Wednesday, March 14th, 2018	at 10:32 am	. You can follow any responses to this entry through the RSS 2.0	feed. Both comments and pings are currently closed.